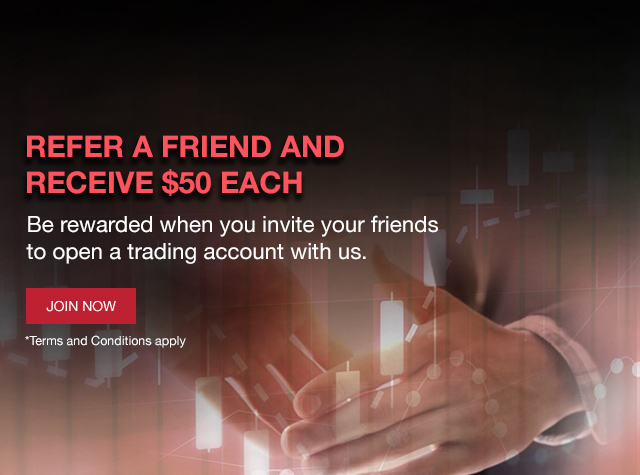 This Refer-a-Friend Promotion (“Promotion”) is only open to “existing client” (“Referrer”) and “new clients” (“Referred Client”) with no existing relationship with “Anzo Capital Limited” (“Anzo Cap”). All Referred Client to Anzo Cap under the Refer-a-Friend Program from a Referrer must not be an existing client of the Company. Reward for Referred Client is restricted to their 1st MT4 account per customer (Redeemable once only). Referrer Join Date must be earlier than Referred Client Join Date. The deposit of the Referred Client has been credited into the Referred Client’s trading account. The Referred Client’s initial deposit is equal to or more than USD 500. Note: The reward is based on the Referred Client’s initial deposit of USD 500 and cannot be applied to any subsequent deposits made by the Referred Client. The Referred Client has completed at least 5 trades with a total volume size of at least 5 standard lots on Referred Client’s 1st MT4 within 90 calendar days. Trades on Indices, Gold and Oil transactions: 1 lot traded counts as 0.1 lot towards completing the bonus volume requirements. Only trades under STP Account are counted towards the Volume Requirements. If referred client is brought in by an Introducing Broker, he/she must be under the same Introducing Broker that bring in this referred client. *The amount of reward paid to either the Referrer or Referred client will be based on the Anzo Capital Backoffice account type (Trading Client or Introducing Broker) of referrer and referred client at the point when Anzo Capital received the notification email. **In order for referred client, either Trading Client or Introducing Broker, to received the reward, the referred client must not be under an Introducing Broker or he/she must be under the Introducing Broker that bring in this referred client. To claim the reward, the Referrer must send an email containing the Referrer and Referred Client’s MT4 account numbers and the corresponding Back Office ID to [email protected] within 90 calendar days from the date that the Referred Client’s Back Office account was activated.